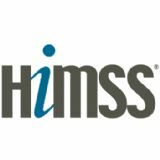 The HIMSS Annual Conference & Exhibition brings together 40,000+ health IT professionals, clinicians, executives and vendors from around the world. Exceptional education, world-class speakers, cutting-edge health IT products and powerful networking are hallmarks of this industry-leading conference. More than 300 education programs feature keynotes, thought leader sessions, roundtable discussions and workshops, plus a full day of preconference symposia.